Cooling fans are great for controlling the heat in your tank. 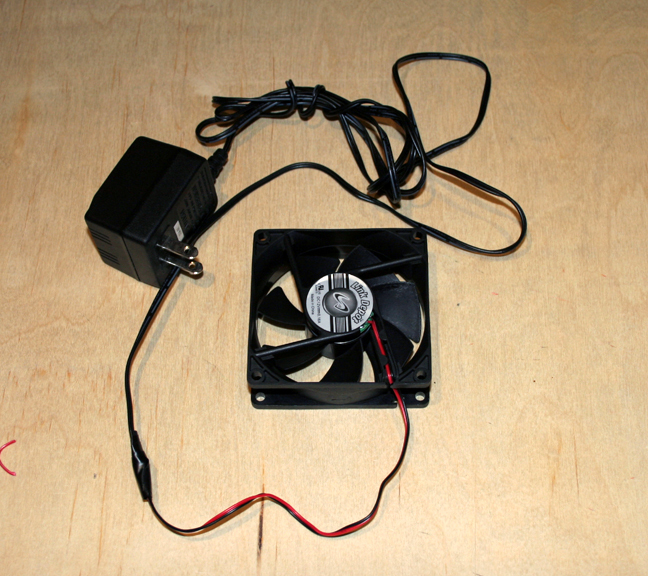 Whether it be a larger tank or a smaller tank, computer fans can either help keep the temperature down single handedly or compliment other cooling measures such as a chiller. So, what do you have to buy for this project? Just like the subtitle states.... a computer fan, a 12v power adapter and some electrical tape. Tools you need to buy? Nadda. Nothing. Ziltch. You'll get by perfectly fine with a sharp kitchen knife. Let's start with what type of fan and adapter to buy. 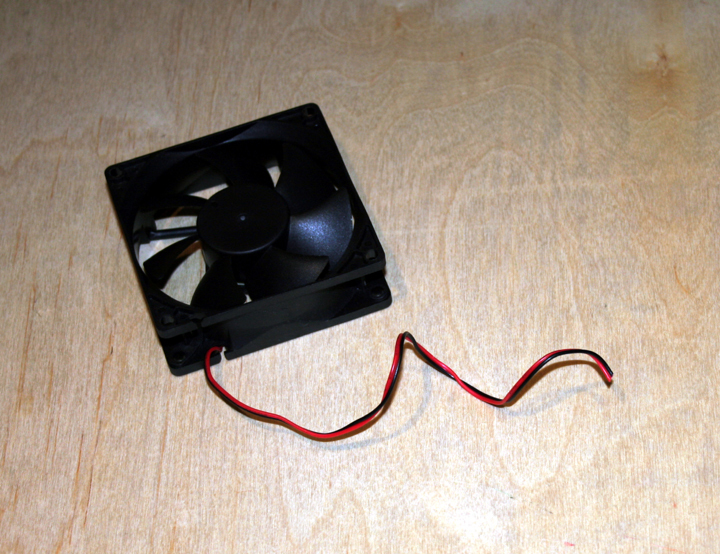 An easy to find 12 volt computer fan. If you buy a few on ebay you can generally get them cheap. 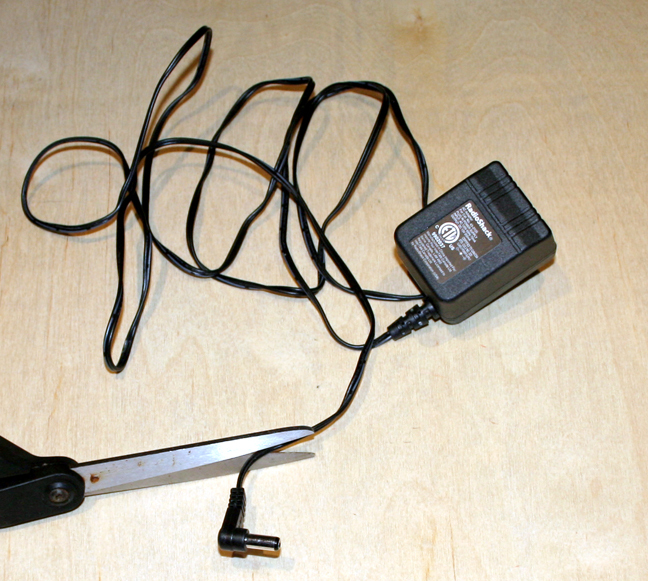 The power adapter needs to be a 12 volt AC/DC power adapter. Again cheaper on ebay. As you can see the tips do not plug into one another. Let's cut the fan tips off. Followed by removal of the adapter tips. You can see each of the cords has two wires. 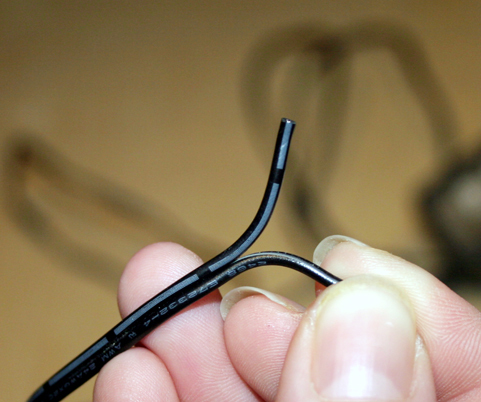 Grab either side with your finger tips and separate them to about 1 to 1-1/2 inch lengths. Now it's time to remove the plastic insulation. 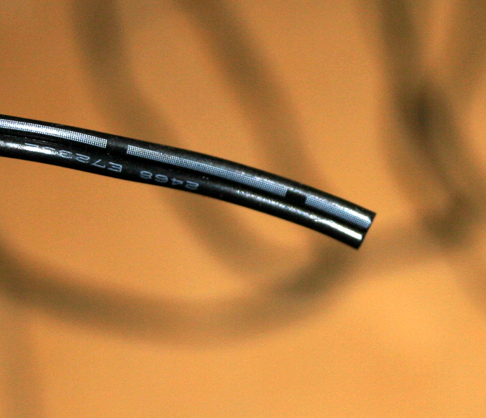 The best way to do this, with the tools we are using, is to run a sharp knife around the diameter of each strand. 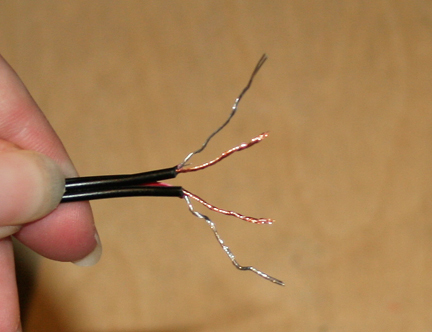 Careful not to cut the wire strands beneath. 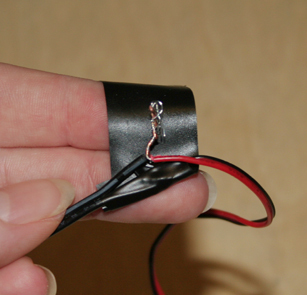 Grab the plastic sheath and pull it off exposing the wire. 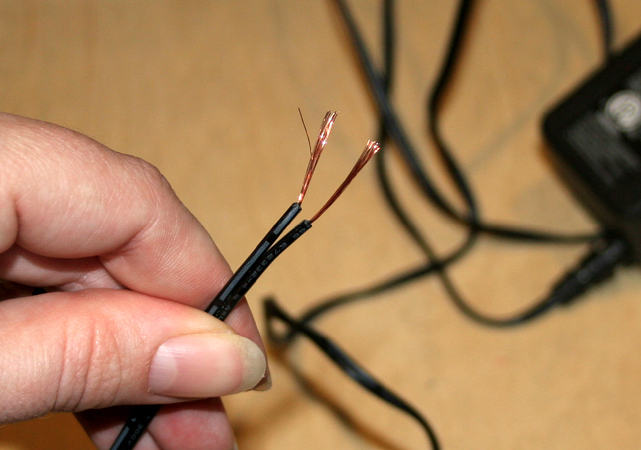 Don't worry if a few strands of wire come off with it.... it's of no consequence. Come on baby... let's do the twist. 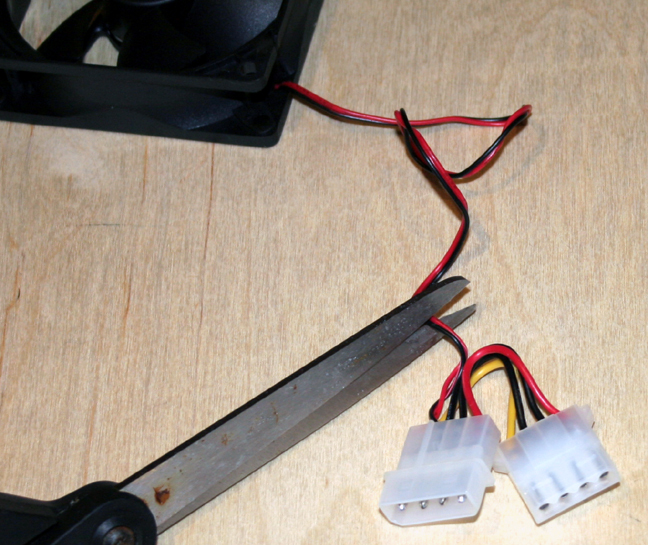 Now, which wire of the adapter is to be connected with which wire of the fan? It actually makes a difference if you want the air blowing from the "front" of the fan. Otherwise it will blow out the back. It really won't make a difference which way it blows, since either way it will be as effective. However, you don't want a bunch of fans that run in all directions.... it adds to confusion. Just imagine if you permanently attached a fan to the hood to find it is blowing in an unexpected direction. 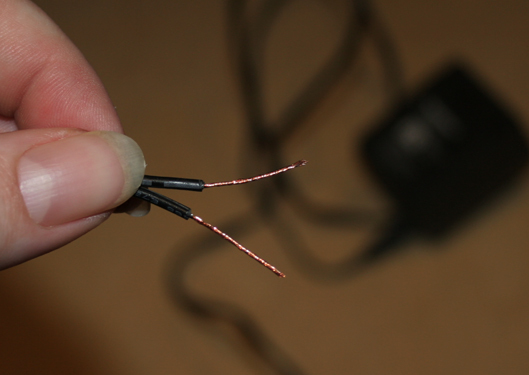 So you line up the adapter wire that has the white lines on it with the red wire of the fan. See the line (which actually looks like dots on the wire). 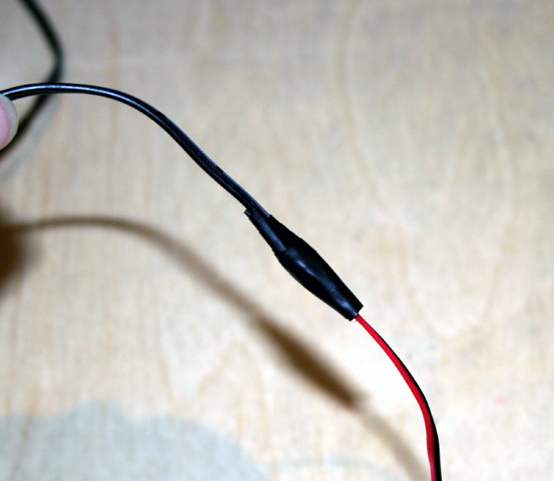 Please note the wire connections at this point are temporary just to make it easier to see who is connected to what. 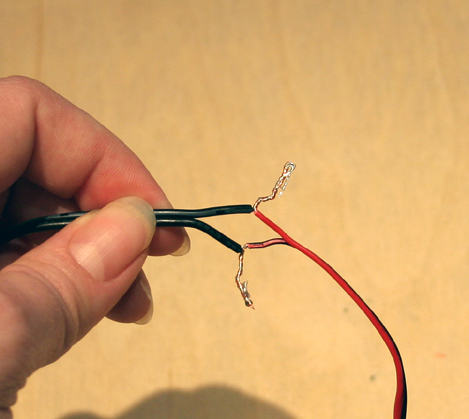 I will show you a simple way to twist the wires together in a moment. Run the cords together with the wire together at the top... back-to-back I guess you could say. Then twist the wire together. Now pull out that electrical tape. 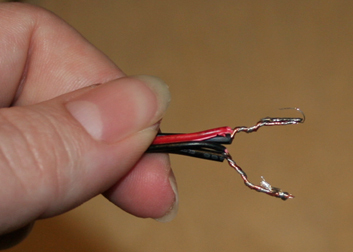 Wrap the wire connection all the way around so that there is no exposed wire. The two sets of wire CANNOT touch. 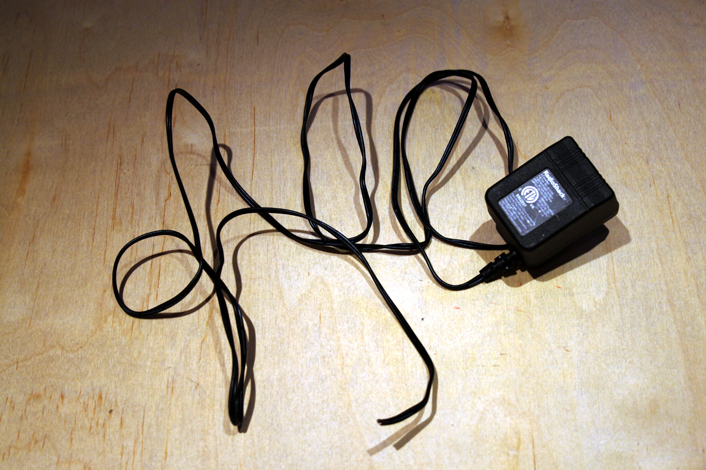 Continue to wrap the entire cord with tape.